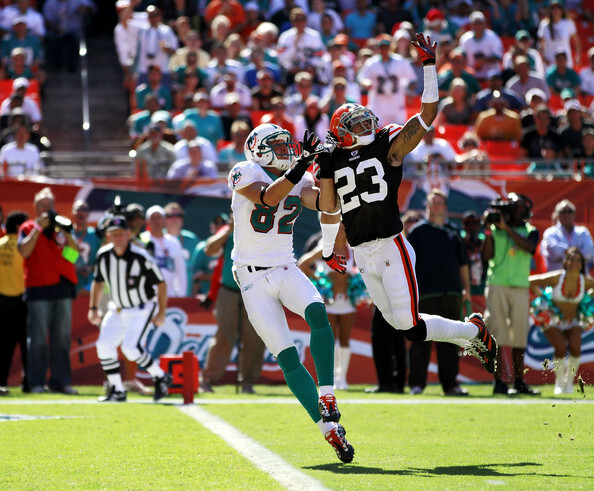 Cleveland Browns cornerback Joe Haden came in at No. 23 on the NFL Network’s list of the Top 100 players of 2015. The results are from voting by the league’s players, who moved Haden up 13 spots from his ranking in 2013. Haden has been the Browns’ top cornerback since entering the starting lineup midway through his rookie season in 2010. Since then, the two-time Pro Bowler has grown into the best player in the secondary and one of the best cornerbacks in the NFL. In 2014, Haden had three interceptions (giving him 16 in his NFL career) and had 20 passes defended. To read the rest of the story, visit Dawg Pound Daily.